When you look up into starry night sky, do you feel small and insignificant or big and expanded? It is a popular belief that while experiencing a starry night, we see the relative insignificance of our place in this universe, and therefore should feel small and insignificant, like a spec of dust. We characterize experience of feeling small and insignificant as humility. Is true humility really about feeling small? 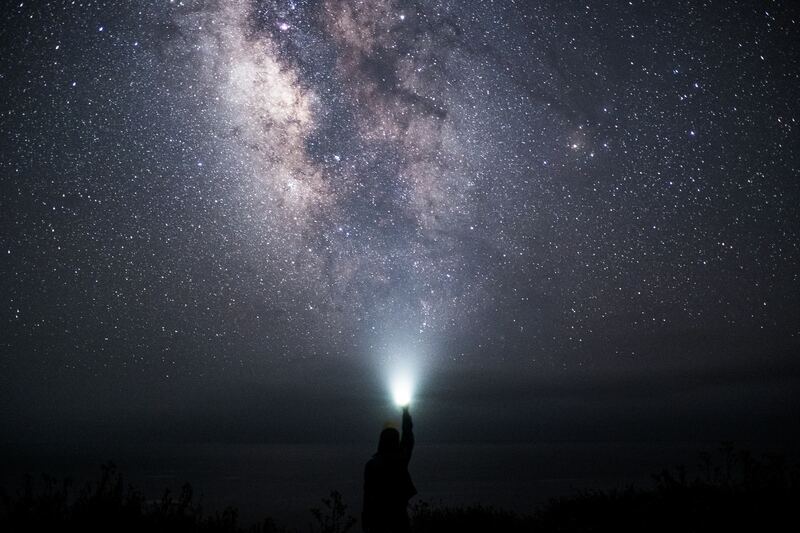 When I look up into night sky, I do not feel small and insignificant, instead I feel big and expanded. I feel like I am touching the stars with my eyes and there is literally nothing in between me and that majestic milky way. How awesome is that? Usually I enjoy philosophical discussions about our place in universe etc., but when I am looking up into the night sky, I can’t get a word out of my mouth because it just stays half-open due to sheer awe that I am feeling. If there is a telescope available, then I get totally absorbed into the joy of seeing and connecting with this greater good so much so that I forget practical matters and no longer feel bodily sensations like hunger, thirst or cold air for extended periods of time. I do not feel “me” at all, the separate self that I call myself, is no longer there to feel insignificant or small, instead I feel fully dissolved in the universe, feeling big and expanded and I think that is how I experience humility. Big humility! Our society associates humility with feeling small and insignificant for a reason. We fear that a big expanded sense of self comes with a big ego.We have some big egos around us, and we deeply wish that they see the big picture and be humbled by it. We feel ego in ourselves, which is why we spend vast amount of energy comparing and contrasting with others, worrying about matters that seem so important to us. But when we look at our problems through the perspective of the whole universe, of course they feel insignificant. When confronted with the unending depth of the space, no wonder our ego feels so small in comparison. We definately need our ego to be trimmed from time to time for proper functioning of our personality and also of our society. Humility, therefore is seen as a virtue of having smaller, well managed sense of self. That is a step in right direction towards humility but it is still only a beginning. It is not the sense of self but it is a sense of separate self, that is the root of the ego. Ego is that chronic sensation that we are separate from others and from the world. We feel pride, arrogance when our sense separate self expands and we feel insignificant and small when our sense of separate self contracts. When we experience dissolution of our sense of separation, our sense of self expands. Experience of big humility is like star going supernova. The star contracts and falls into itself, getting smaller and smaller until it can not get any smaller and then it goes supernova, expanding quickly in an explosion, spreading it’s light across the universe. Similarly, when you stand facing the big expanse of endless space you will feel your ego shrinking but don’t interrupt to contemplate how small you feel, because that will stop the process then and there. Go along silently with the process of further contraction, and then you will come to a point where your sense of separations shrinks so much that it dissolves into nothingness of space and you will feel sudden expansion! You no longer feel like a spec of dust in the universe, you dissolve into the universe, which is looking at itself in awe! If we can take that sense of expanded self in to our day to day life, we ironically become more humble. We do not have need to feel superior nor need to feel inferior. We won’t have urge to take credit nor do we have urge to be deny credit in efforts to be perceived modest. When we see that in essence we are truly vast, and so is everybody else, we are naturally humble. That is true humility. That is big humility. When you get chance to look into depths of starry night, permit your soul to be stirred deeply by awe and let it be dissolved in the milky way, like sugar dissolving in a glass of milk. Enjoy feeling big and expanded, feel the big humility! Great post thanks for sharing!